President Muhammadu Buhari on Monday, January 1, 2018 in made a national speech to citizens of Nigeria. Below are the 10 main points made by President Muhammadu Buhari in his national broadcast to Nigerians Monday morning. 1. President Muhammadu Buhari this morning unfolded his government’s plan for a comprehensive rollout and investments in roads, rail and power infrastructure in the country. 2. He equally vowed to ensure that oil marketers who have subjected Nigerians to harrowing experiences during the Christmas and New Year celebrations by hoarding and diverting fuel would not go unpunished. 3. The president who made the remarks in his nationwide broadcast to Nigerians, said he was saddened that many Nigerians could not derive desirable happiness during the Yuletide season as a result of the avoidable fuel shortages. 4. According to him, the Ministry of Power, Works and Housing was leading the country’s infrastructure revolution with a view to achieving global economic advancement through the Economic Recovery and Growth Plan (ERGP), adding that in pursuit of the agriculture revolution by his government, importation of rice will end this year. 5. He pointed out that the Lagos-Calabar coastal line would also link Ore in Ondo State with a number of South-south towns. “My address to fellow Nigerians this morning is devoted mainly to informing you about the intense efforts this administration is putting to address our country’s huge infrastructure deficit. 4. On road infrastructure, the president who disclosed that Federal Road Maintenance Agency (FERMA) had been reconstituted and ordered to carry out rapid road upgrade within 12 weeks in all the six geopolitical zones, stated that the recent N100 billion raised through Sukuk bond would address 25 major highways with N16.67 billion earmarked for use in each geopolitical zone. 5. While disclosing that power transmission had been ramped up to 7,000 megawatts (MW), he said for the first time on December 8, 2017, the country generated 5,155MW of electricity and proceeded to highlight other achievements in the power sector. 6. The president also said that the massive public works currently being spearheaded by his government would lead to the nation’s recovery and simultaneously create millions of jobs, adding that government was slowly stabilising the economy through sustainable policies and programmes captured in the economic recovery plan. 7. He Appealed to “enterprising Nigerians” with useful ideas to get involved in job creation, Buhari noted that advanced countries were built through the involvement of enterprising persons. 8. On the fuel shortages experienced during the Christmas and New Year holidays, Buhari said the action of oil marketers that created hardship for Nigerians was unacceptable. 9. 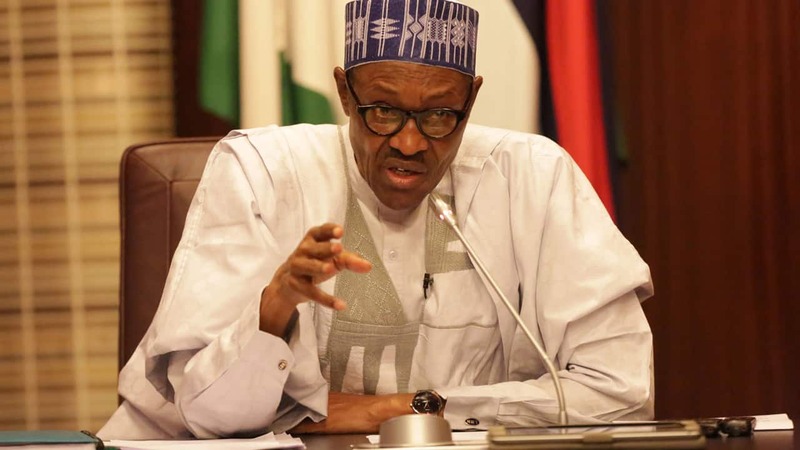 Speaking on the agitation for restructuring, Buhari said Nigeria’s problems border mainly on processes and not structure as being agitated, disclosing, however, that the government was examining the high cost of governance with a view to improving governance. 10. As the 2019 electioneering period draws nearer, Buhari counselled politicians to avoid exploiting ethnicity and religion, cautioning that such attitude must be avoided in order to promote harmony. He also challenged other parts of the country to emulate the South-west which he said had successfully internalised religion and politics. “In this respect, the rest of Nigeria could learn from the South-western states that have successfully internalised religion, ethnicity and politics. “Political discourse should be conducted with civility, decorum and in a constitutional manner. We all have a collective responsibility to strengthen our democracy and entrench the rule of law. “We should draw encouragement from the series of bye-elections conducted by INEC last year which were generally violence free and their outcomes adjudged to be free and fair,” he said. 10. He also said short-term measures had been evolved to combat kidnapping through what he described as tighter police methods with prescribed severe penalties for kidnappers, adding that the government was effectively engaging Niger Delta leaders with a view to addressing the challenges of the region including the Ogoni clean.